Last week was half-priced PS2 games at GameStop. This week was half-off GameCube games. A buddy of mine told me to check this game out, so I did. And I really couldn’t pass up a game for $3! Scurge is an action game with some RPG feel. It seems pretty basic, but reviews say the game is decent. It’s worth a shot in my book. I have this game for my next Machinima review and I’ve already put a few hours into it. 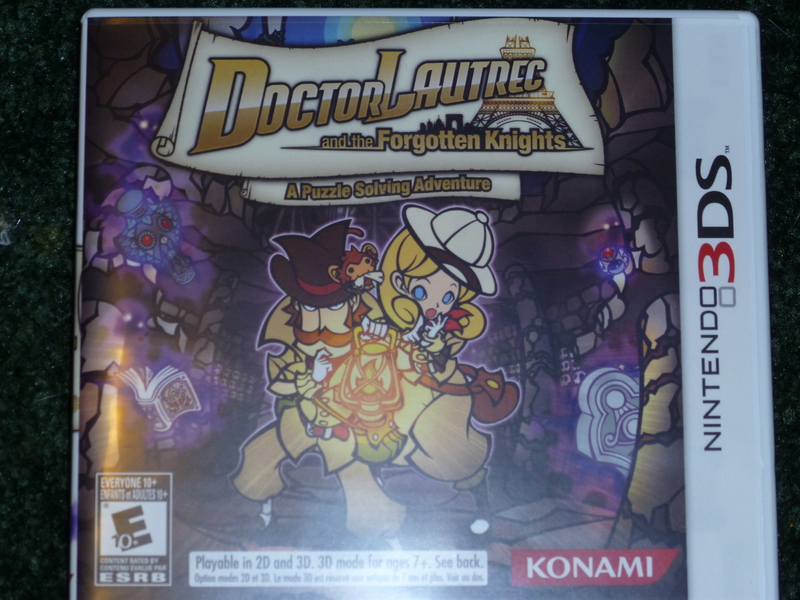 I was expecting a title similar to Professor Layton given the similar title, main character, and tagline for gameplay, but I was sorely mistaken. Doctor Lautrec really doesn’t know what it wants to be, mashing up all types of gameplay types. Part 3D, part 2D, part voiced, part not voiced, part action, part RPG, part puzzle solving… ugh, that’s a lotta parts! And here we go. 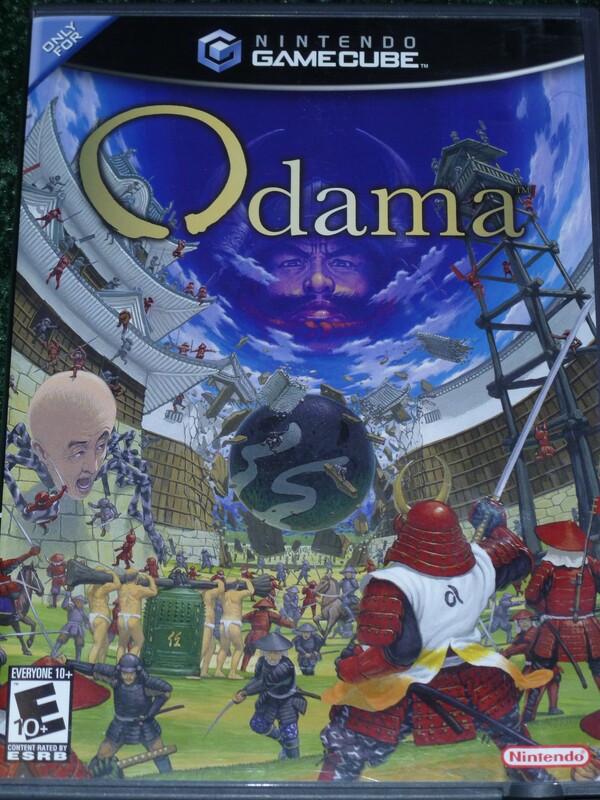 The first GameCube title I picked up was Odama. This strange title uses a microphone for primary control, making you bark orders to your troops to play. The game is weird in and of itself: It’s a pinball/strategy game with a feudal Japanese feel. How could I NOT buy this one? 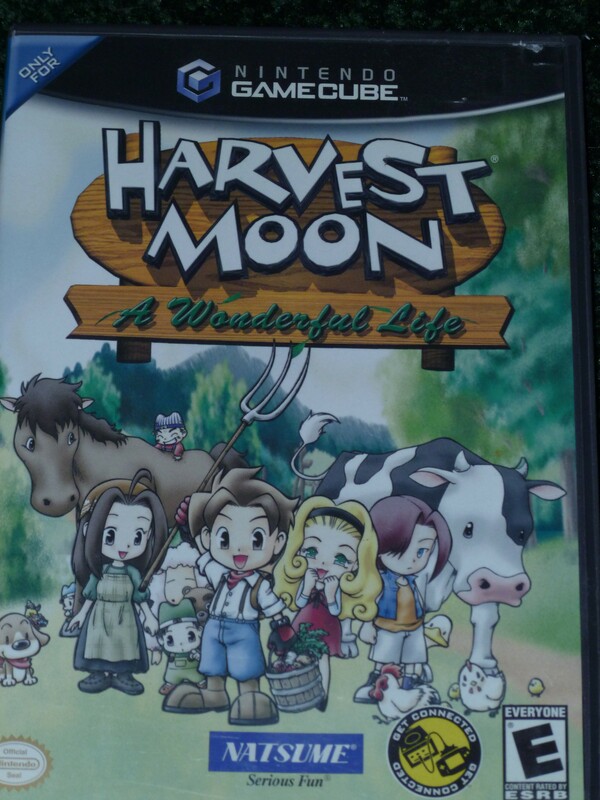 I’ve already stated that I am a fan of the Harvest Moon series before, so it was an easy purchase to get this GC exclusive. Another Wonderful Life is unique in that it has you playing the game as a girl instead of a boy. The game is still the same as A Wonderful Life, but there’s guys to woo instead of girls. I’m not sure why there isn’t just an option at the beginning of the game to play as a guy or a girl, but hey, whatever works. 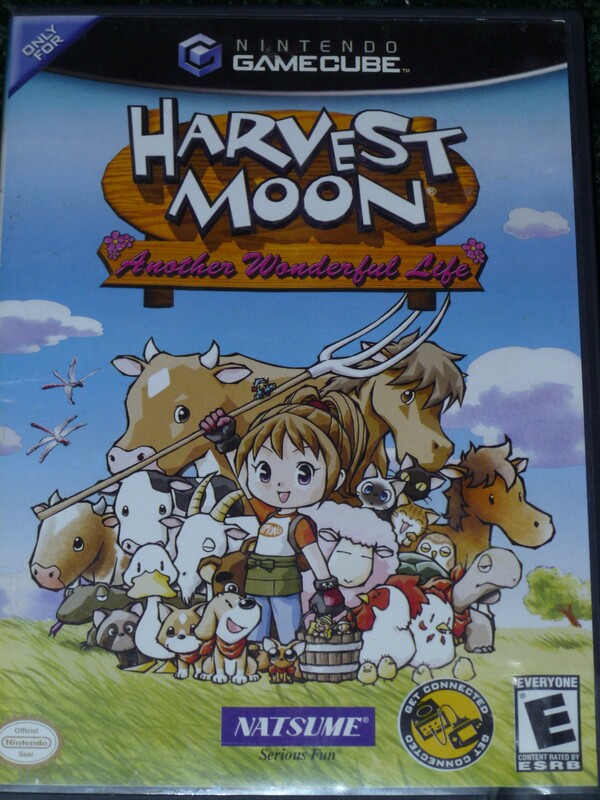 A Wonderful Life came out before Another Wonderful Life, and follows the same basic Harvest Moon formula: Get a farm back into working order, make friends on the townspeople, and have a great time. This one used to be a GC exclusive, but has since been ported over to the PS2. I’ve played quite a few games in the Bomberman series, and they’re usually good titles. 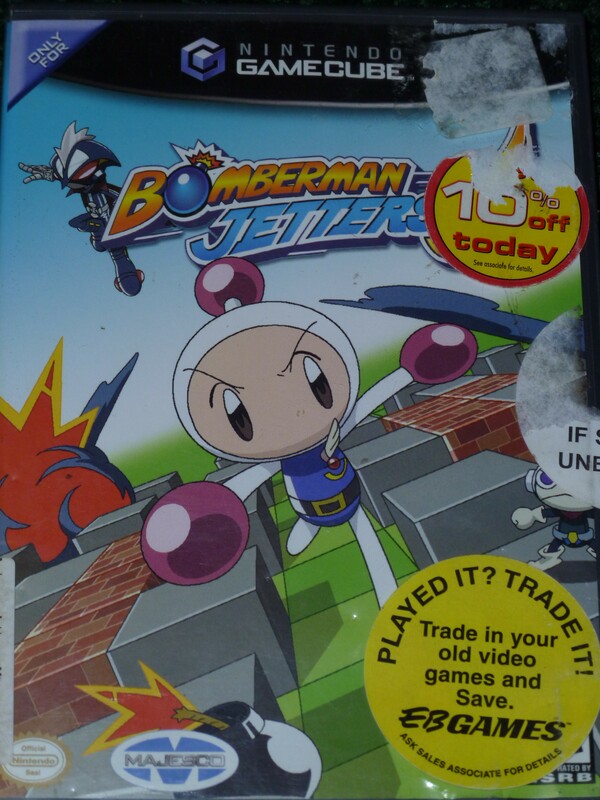 The one before this, Bomberman Generation, is a great title that had smart puzzles, nice animation, and fun gameplay. This is the sequel and isn’t supposed to be as good, but even if it’s just a bit worse than Generation it’ll be worth it to me. After reviewing Kirby Mass Attack and Kirby’s Return to Dream Land recently, I’ve been on a Kirby fix! 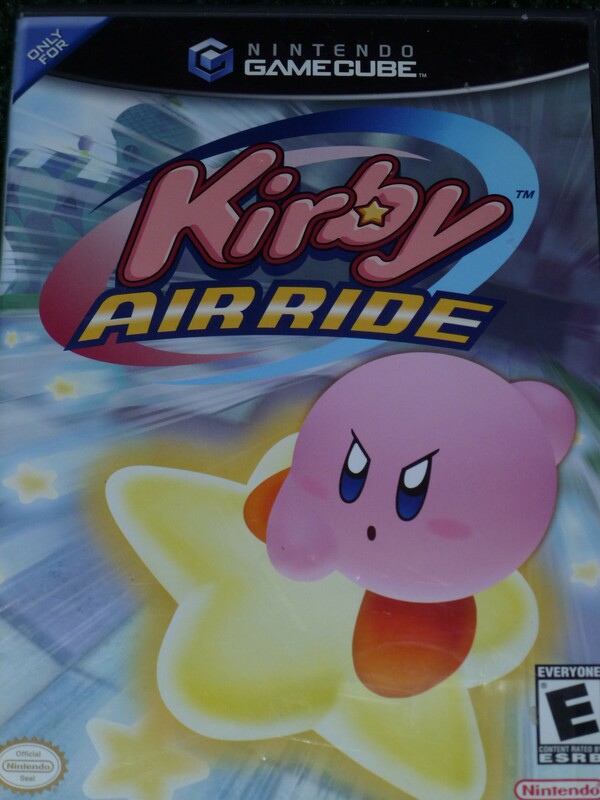 Kirby Air Ride never looked particularly interesting when it came out, but now that I’ve given the pink puffball some more love, I’m looking at him a bit differently. The game is supposed to be very easy, so we’ll see how it stacks up to other Kirby titles. Metroid Prime is simply one of the best video games I’ve ever played. 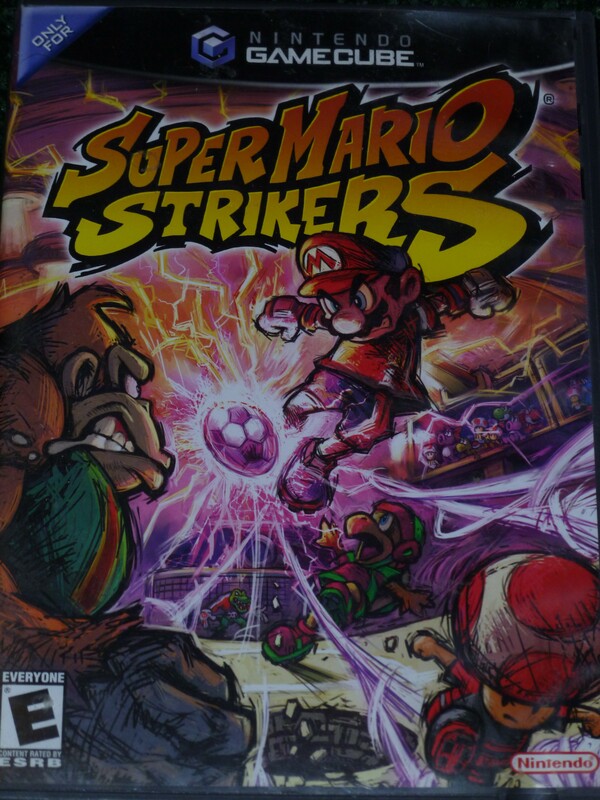 The graphics were phenomenal, the controls were tight, the music was stellar, and the gameplay was challenging and fun. I have high high HIGH expectations for Metroid Prime 2. I was happy to find the game, because I figured it’d be a hot item and wouldn’t stay on shelves too long, but I was happily mistaken. So I was actually gifted this game in 2001 when the GameCube came out, but I ended up returning it because I didn’t like it and instead got Dave Mirra Freestyle BMX 2 (Which was awesome!). Having looked back at the game again it’s safe to say my tastes have changed and I can appreciate the game more. 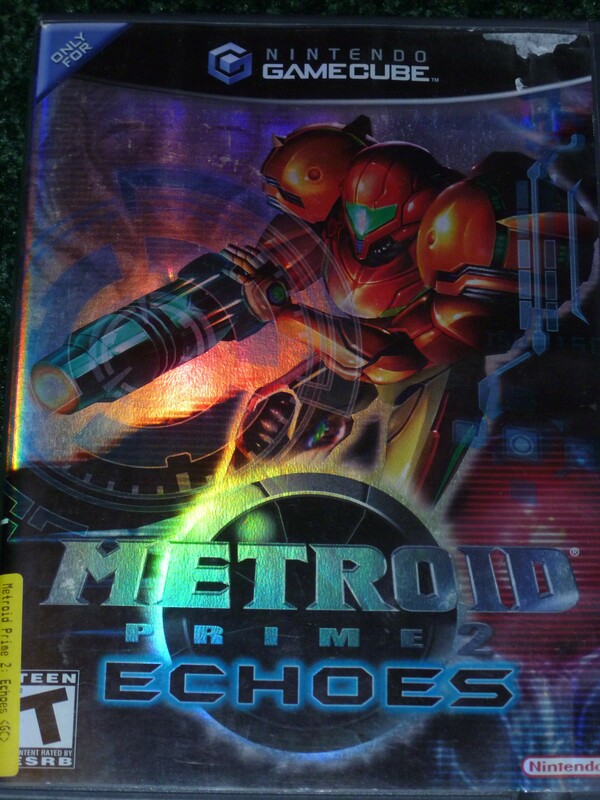 I was again happy the game was there for the same reason as stated concerning Prime 2. Also, this is one of two launch titles I picked up this week for the Cube. Gimmicks get me every time. When the rhythm game Donkey Konga came out I was all over it! Using special bongo controllers (which I still have) to keep the beat and make music was a great idea (to me at least). Strangely though I never got the third and final game (If I’m not mistaken) to use the bongos, Donkey Kong Jungle Beat. 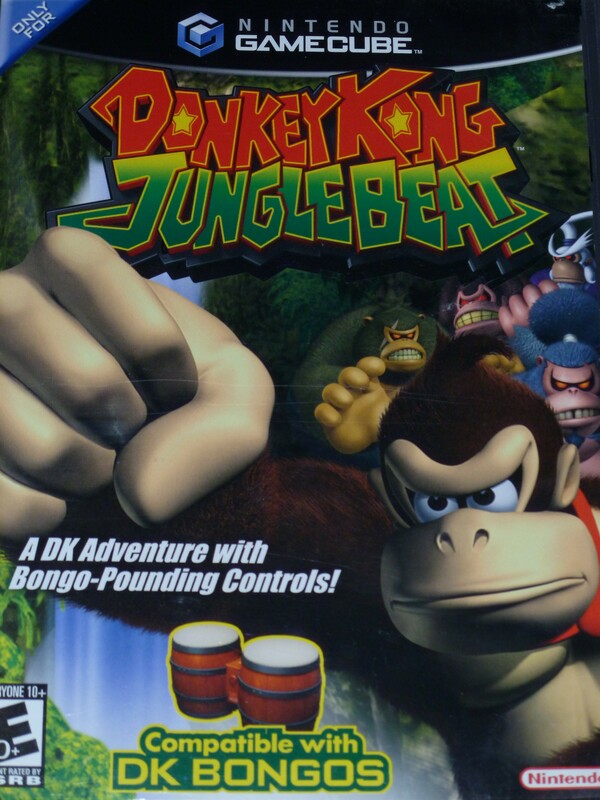 You can use a regular controller I believe, but hitting the bongos to make DK run, jump, and fight is just awesome! 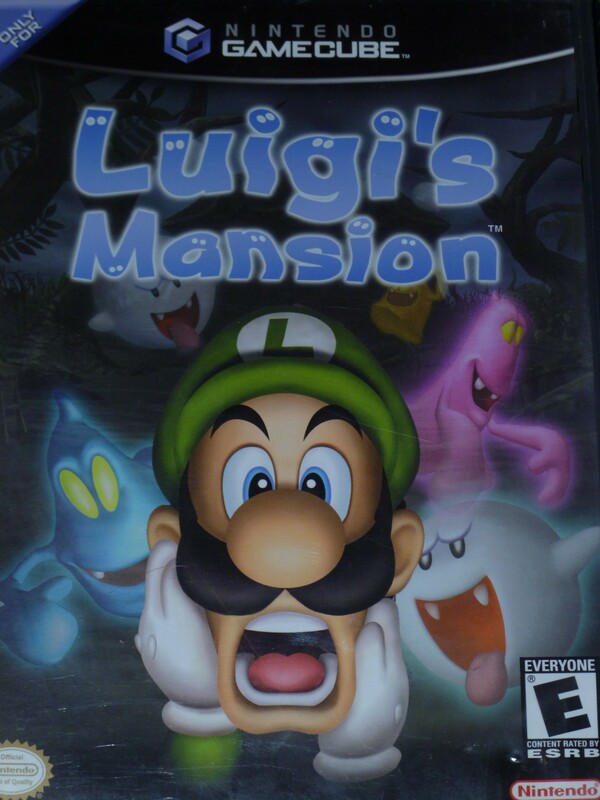 The game was also remade somewhat recently for the Wii. 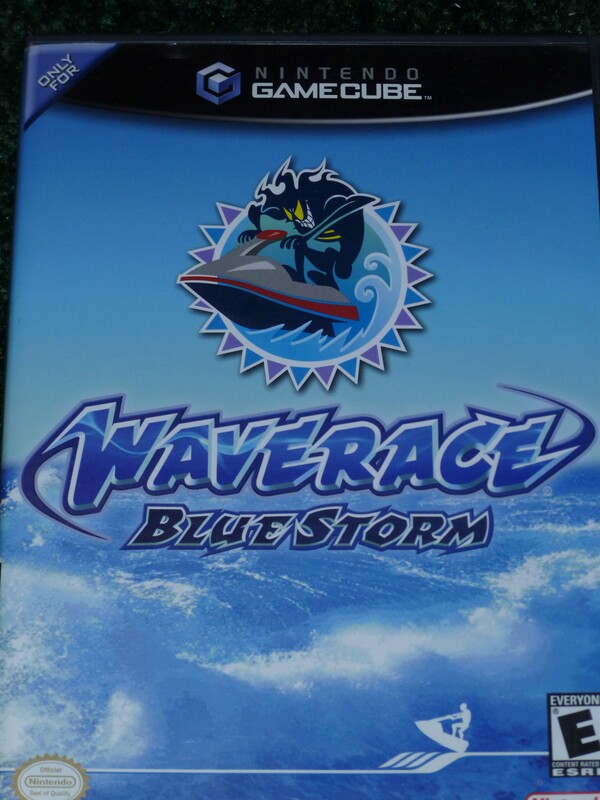 The second GameCube launch title I picked up was Wave Race: Blue Storm. I think Wave Race 64 (interestingly another Nintendo console launch title) for the N64 to be one of my favorite games, so I find it weird I have yet to play this one. And for only $2, how can you go wrong? I remember reading about this game in Nintendo Power and thinking, “A video game where I get to collect those 25 cent toys and level them up and battle against other toys? Heck yeah!” Gotcha Force is such a strange title, and yet it’s premise makes perfect sense. I would have gladly paid full price for this puppy, but hey, a deals a deal! And we’ll end with a trio of triple A Mario titles. 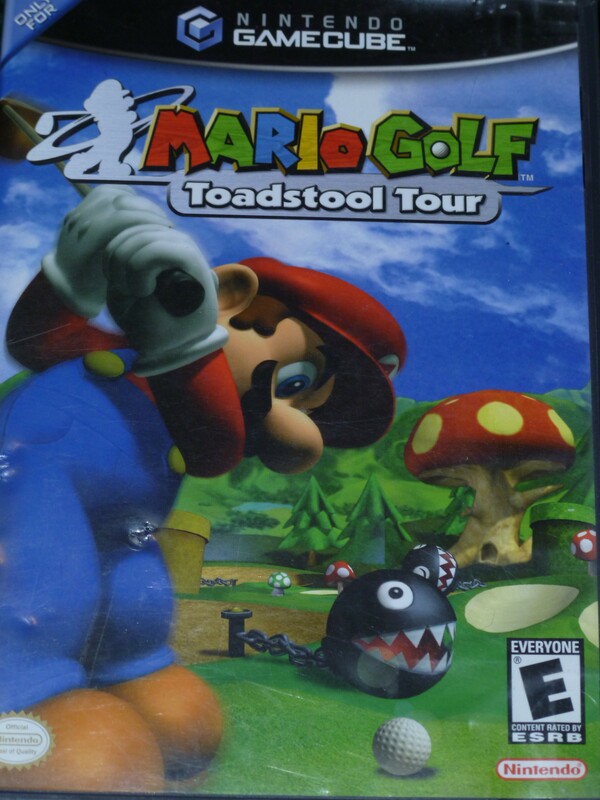 The first is Mario Golf: Toadstool Tour. A golfing sim made by the same guys that did the first game and the Hot Shots series, Mario Golf is a great game of golf if I do say so myself! The combination of lighthearted golfing with Mario characters is an easy formula for success. Though I thought the original N64 title was better, this one is still a classic. Fun story: I bought this game when it first came out back in 2003. Fast forward to 2009 when I was working at Purdue University. 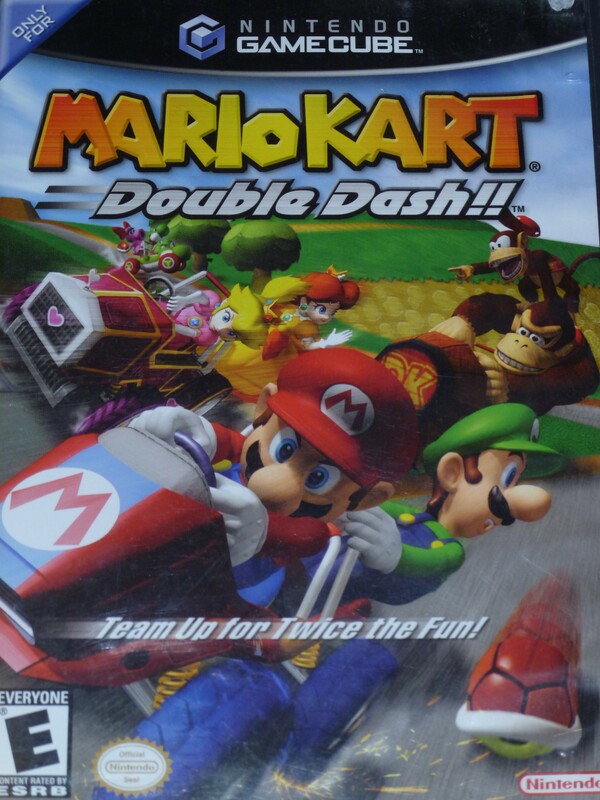 I was putting on a game night program that featured this game among others (Super Smash Bros. Brawl was the star of the night), and when it was time to finish up and pack everything away, I couldn’t find my copy of this game. 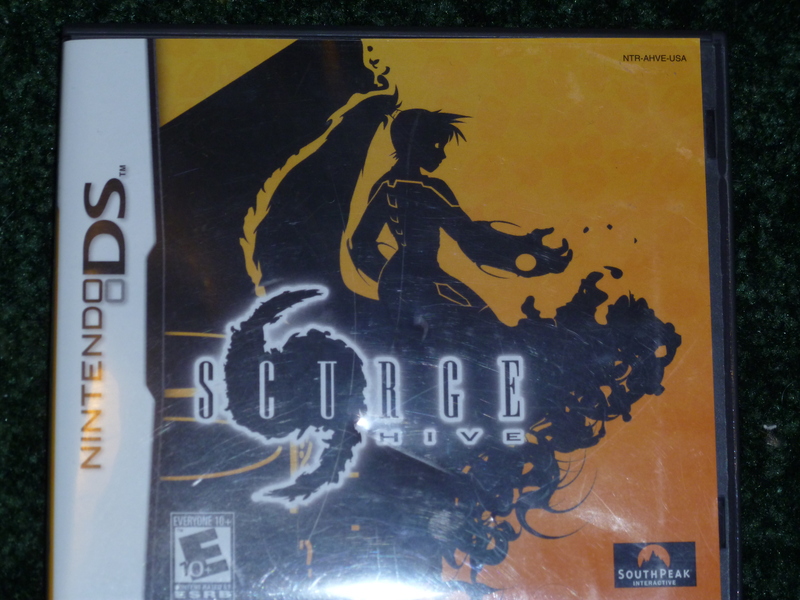 Turns out someone actually stole my copy of the game, along with the case it came in! Honestly, who does that? Oh well… I unfortunately had to buy the game again, but I was happy to finally have another copy of this fine, fine game in my collection. Easily my favorite Mario Kart out of the bunch. Easily. Argh! I received their email about the sale and intended to go but missed out! I just played Odama for the first time last week and it’s worth checking out, very weird. 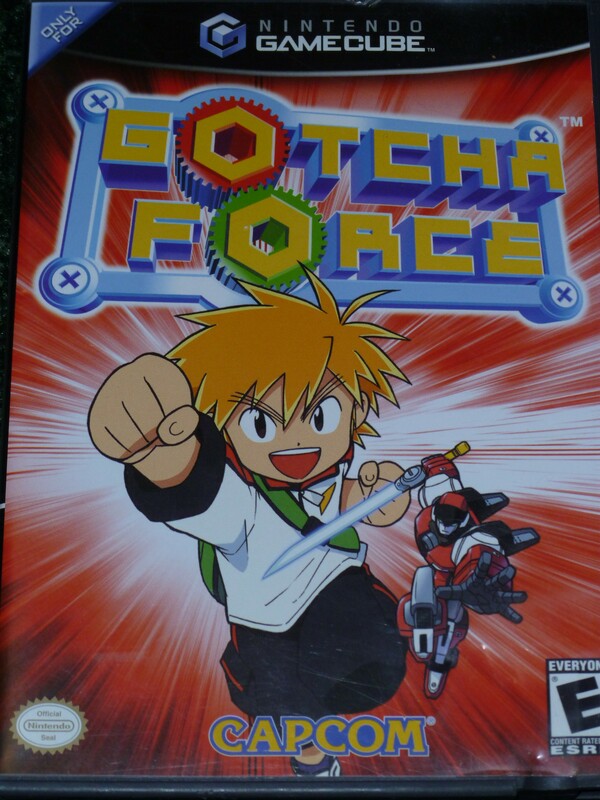 I haven’t looked super hard for a copy of Gotcha Force but I’ve yet to see one. I always wanted to play it after watching a trailer in Auto Modellista. You picked up a ton of quality games, good job. Thanks man! Too bad you weren’t able to stop in and get some yourself. I wouldn’t be surprised though if GameStop does something similar again: I’m sure they’ll be wanting to get rid of all their old GameCube and PS2 games sometime soon to free up more room.